The gens Numonia was a family of but little celebrity in Roman annals. Whether it was plebeian or patrician is uncertain. 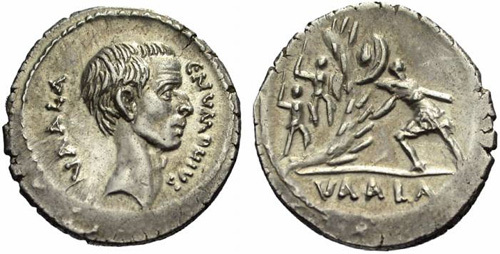 Its surname on coins is Vala, or Vaala - Velleius alludes to Numonius Vala, who basely deserted Varus in Germany ; and Horace writes an epistle to Numonius Vala.